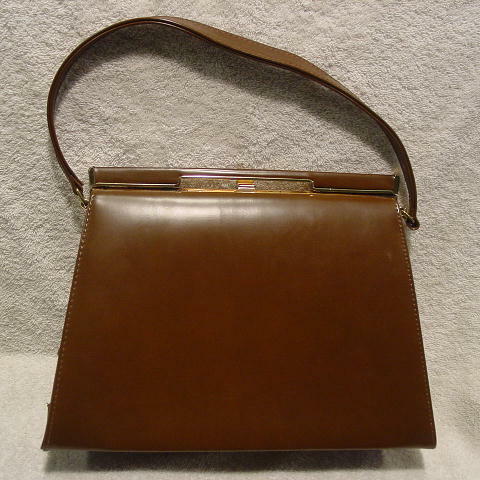 This vintage caramel and brown color handbag is by Air Strip. 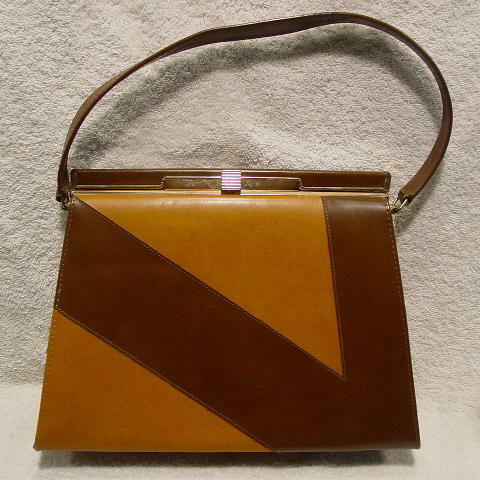 You push on the gold-tone ridged metal tab at the top to open the purse. It has a nice dark brown grosgrain fabric lining and an interior zippered pocket. In white letters on the interior front it says Simulated Leather 11038 7087.11. The back top has a metal bar covered in faux leather with a cutout (see-through) panel on each side of the center gold-tone closure. It has a 17" by 3/4" handle. The lighter color on the front is caramel and not the camel color it appears in the picture.